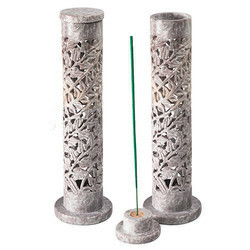 We are a leading Exporter of incense holder, marble incense holder, square incense holder, incense stick holder and incense holders from Jaipur, India. As an ace manufacturer, supplier and wholesaler of Marble Incense Holder, we have marked our name very strongly in the market. 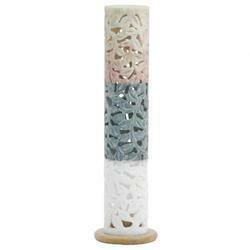 The provided holder is extensively used to enhance and decorate the beauty of incense sticks. We offer this one in number of designs, slots and sizes keeping in mind various needs of the clients. Moreover, these magnificently designed holders definitely enhance the fragrance and are the prime choice of our prestigious clients. 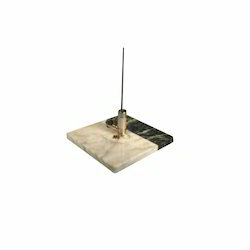 We are recognized as a successful manufacturer, suppliers and, wholesalers of Square Incense Holder in the market at the present scenario. In order to craft this holder, our diligent professionals use quality tested material and latest techniques. Clients can avail this holder in various sizes, slots and styles as per their specific needs. Used to add an elegant appeal to the living space, this one is highly appreciated among our clients.